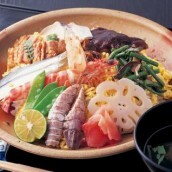 Bold fisherman dish with Suke grass cod! 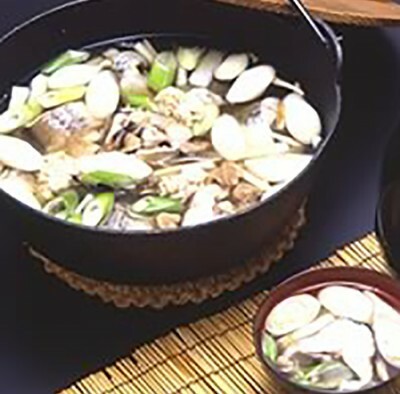 The rough fisherman dish which made it a chunk, boiled with a liver and seasoned the pot in which leek was clapped with Sado fermented soybean paste while living through Suke grass cod just harvested. 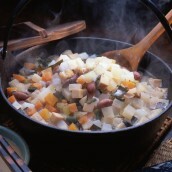 The taste of the prince full of rustic beauty which can be tasted focusing on winter. 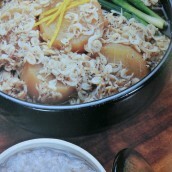 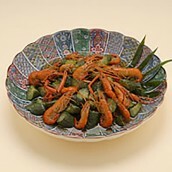 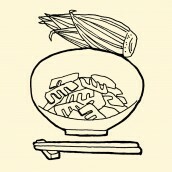 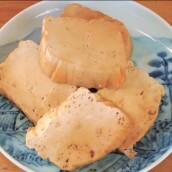 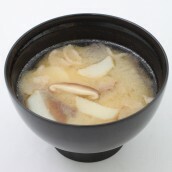 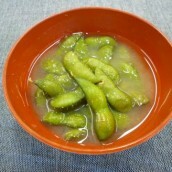 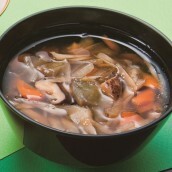 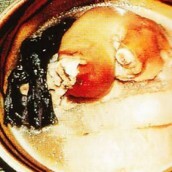 "Tala okijiru" and "Suketo no okijiru" which were a dish on the fisherman's ship originally are called. 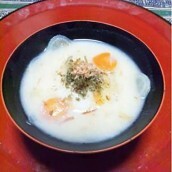 It's made using a winter and cod in season mainly. 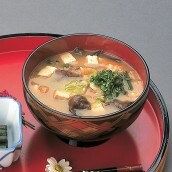 Information provided by : Niigata-ken Sado office of tourism HP.